0.34 , A Member of N C T E on Veteran Education, College English, 1945. 0.28 Don Geiger, Blessing for Professor on Rainy Pay-Days, College English, 1959. 0.25 , A Modest Proposal for a Writers' Alliance, College English, 1959. 0.23 Clifford P. Lyons, The Graduate Student and His Profession, College English, 1942. 0.23 Albert C. Baugh, What Can Scholarship Do for the College Teacher?, College English, 1940. 0.22 Ralph M. Wardle, More English for Engineers?, College English, 1943. 0.22 Maurice L. Rider, Engineers Are Writers Too, College English, 1954. 0.22 Carlos Baker, Needs in the Graduate School, College English, 1950. 0.22 Howard O. Brogan, An Open Letter to Mr Robert Newcomer, College Composition and Communication, 1956. 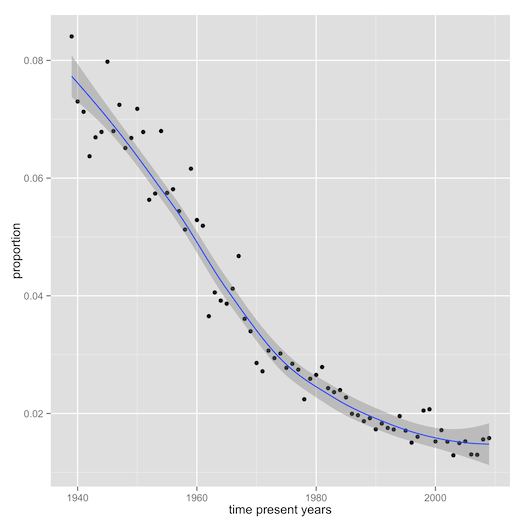 0.21 Ben Strandness, No Gradgrind Scholars, College Composition and Communication, 1963. 0.21 H. O. Brogan, Academic Preferment in English in a State University, College English, 1965. 0.21 James I. Brown, Communication Quotes, College English, 1948. 0.21 W. O. Sypherd, Some Observations on Literature in School and College, College English, 1940. 0.21 R. A. Jelliffe, An Experiment in Comparative Literature, College English, 1947. 0.21 Albert R. Kitzhaber, The Gifted Student and the Not-So-Gifted, College Composition and Communication, 1959. 0.20 George F. Reynolds, Oral Interpretation as Graduate Work in English, College English, 1950. 0.19 Helene W. Hartley, English Teaching and the Phoenix of Scholarship, College English, 1948. 0.19 , Providing Satisfactory Freshman Texts, College Composition and Communication, 1956. 0.19 George B. Parks, Is Contemporary Literature Neglected?, College English, 1943. 0.19 Marvin Magalaner, Give Them an Audience, College English, 1947. 0.19 Warner G. Rice, Internships for Teachers of English at the University of Michigan, College English, 1939. 0.19 Tremaine McDowell, Time and the Humanities, College English, 1945. 0.19 Robert A. L. Mortvedt, Current Literature in the Survey Course, College English, 1941. 0.19 Henry W. Wells, Reform in English Teaching, College English, 1950. 0.19 Warner G. Rice, The Preparation of College Teachers of English, College English, 1963. 0.19 Warner G. Rice, A Proposal for the Abolition of Freshman English as It Is Now Commonly Taught from the College Curriculum, College English, 1960. 0.19 Lewis Sawin, An Integrated Bibliography for English Studies, College English, 1961. 0.18 Robert C. Pooley, Achieving Continuity in High-School and College English, College English, 1944. 0.18 Eric V. Sandin, A Challenge, College English, 1943. 0.18 Karl W. Dykema, The Problem of Freshman English in the Liberal Arts College, College Composition and Communication, 1951. 0.18 Dora V. Smith, Problems of Articulation in the Teaching of English, College English, 1940. 0.18 Sophus Keith Winther, Contemporary Literature-An Educational Imperative, College English, 1943. 0.18 Edward A. Jenne, To the Editor of "College English", College English, 1943. 0.18 Keith Rinehart, The Mysterious Present, College Composition and Communication, 1958. 0.18 J. Donald Adams, College and the Writer, College Composition and Communication, 1956. 0.18 John C. Schwarzwalder, The Promise of Teaching by Educational Television, College English, 1959. 0.18 C. D. Thorpe, Factors of Growth in the Language Arts in College with Special Reference to Articulation, College English, 1945. 0.18 Louise Pound Karl Young P. G. Perrin Charles Child Walcutt R. S. Crane Louise M. Rosenblatt Warner G. Rice George R. Coffman Oscar James Campbell, English in Wartime: A Symposium by College Teachers, College English, 1942. 0.18 James Humphry_ III, Integration: The Colby Plan, College English, 1951. 0.18 Kenneth E. Eble, Quality of Teachers +Quality of Profession = Quality of Teaching, College Composition and Communication, 1960. 0.18 Clara M. Siggins, We Who Are Not Afraid to Teach, College Composition and Communication, 1960. 0.17 R. I. Brigham, Required Course, College English, 1950. 0.17 George Brandon Saul, Suggestions toward a Revised Program in College English, College English, 1945. 0.17 Becke Roughton, Power of the Blank Page, College Composition and Communication, 1977. 0.17 Hoxie N. Fairchild, The Literary Scholar in These Times, College English, 1947. 0.17 Norman Holmes Pearson, Surveying American Literature, College English, 1940. 0.17 Stephen Bloore, Scholarship for Teachers of English, College English, 1945. 0.17 Albert R. Kitzhaber, 4C Freshman English and the Future, College Composition and Communication, 1963. 0.17 Edwin Honig, Jawing of Genesis, College English, 1956. 0.17 Tom Burns Haber, Graduate Study in English after the War, College English, 1944. 0.17 P. G. Perrin, A Realistic Philosophy for Teachers of English, College English, 1948. 0.17 John H. Hicks, Literary Quarterlies in the 1960's, College English, 1965. 0.17 James J. Lynch, College Support for the High School English Teacher: The California Experiment, College English, 1959. 0.17 Harold A. Anderson, The Function of English Instruction in Education for Democracy, College English, 1946. 0.17 Merike Tamm, Ph D's Unemployment and Continuing Education: To Mark Curran, College English, 1974. 0.17 Marjorie H. Thurston, A Deferred Course in Freshman English, College English, 1944. 0.17 Porter G. Perrin, Maximum Essentials in Composition, College English, 1947. 0.17 Emory Holloway, The American Tradition and the Future, College English, 1943. 0.17 Richard L. Loughlin, Giving the Disadvantaged a Boost in English, College English, 1965. 0.17 Ernest van Keuren, Assigned versus Free Readings in the Survey Course, College English, 1939. 0.17 Stewart C. Wilcox, The Scientific Bird, College English, 1949. 0.17 Howard M. Baldwin, Theme Subjects for Defense, College English, 1942. 0.17 John C. Gerber, The Greater Struggle Necessary, College English, 1956. 0.16 Tom Burns Haber, Vive Freshman Composition!, College English, 1941. 0.16 Helene W. Hartley, English for These Times: Some Issues and Implications, College English, 1947. 0.16 Earl Hilton, The Vocational Veteran Approaches Books, College English, 1947. 0.16 Thomas R. Palfrey, Deepening the Impression: Integration with Foreign Language Study, College Composition and Communication, 1955. 0.16 James Kissane, Surgery for the Research Paper Or a Bomb, College Composition and Communication, 1966. 0.16 Theodore Pearce, Occupational Attitudes among Teachers of English in Colleges of Technology, College English, 1952. 0.16 D. R. Angus, The Course in Literature Appreciation for the Technology Student, College English, 1943. 0.16 Albert R. Kitzhaber, Death - or Transfiguration?, College English, 1960. 0.16 Helen C. White, New Perspectives on Teaching Literature, College English, 1962. 0.16 Charles I. Patterson, Courses for Export, College English, 1954. 0.16 Robert P. Saalbach, The Status of the Composition Teacher, College Composition and Communication, 1958. 0.16 Eugene F. Grewe, A Counter-Proposal Affecting the Future Direction of the CCCC, College Composition and Communication, 1961. 0.16 Boyd Guest, The Humanities in Engineering Colleges, College English, 1945. 0.16 Alison White, Ibid and like That, College Composition and Communication, 1954. 0.16 Michael S. Gregory, Sisyphus in the Classroom, College Composition and Communication, 1963. 0.16 W. Nelson Francis, Pressure from below, College Composition and Communication, 1964. 0.16 Henry W. Wells, The Teaching of Poetry, College English, 1950. 0.16 Richard L. Greene, Making the English Major More Effective and Attractive, College English, 1954. 0.16 Gerhard Friedrich, Benefits to English Departments of the Advanced Placement Program, College Composition and Communication, 1959. 0.16 Thomas F. Parkinson, Composition and the Elementary Teacher, College English, 1964. 0.16 Henry W. Wells, The Reappearance of the "Mermaid Series", College English, 1949. 0.16 Albert R. Kitzhaber, Reform in English, College English, 1965. 0.16 , Special Treatment for Superior Students: Problems and Procedures, College Composition and Communication, 1958. 0.16 Lewis Worthington Smith, Lectures and Notebooks, College English, 1946. 0.16 Kenneth Thorpe Rowe, Playwriting in the Liberal-Arts Curriculum, College English, 1939. 0.16 Edward Fiess, Language and Morals, College English, 1945. 0.16 W. Paul Hamilton, Articulation in Composition: A Report of the Subcommittee on Writing of the Committee on Articulation New Jersey English Association, College Composition and Communication, 1956. 0.16 C. R. Rounds, Ends and Means in Teaching English Literature, College English, 1940. 0.16 Rebecca M. Osborn, The College Freshman, College English, 1949. 0.16 Tennyson's, [Poem], College English, 1955. 0.16 Richard Braddock, A Proposal for "Bar Exams", College Composition and Communication, 1959. 0.15 Robert Carl Johnson, Reflections on the Ph D, College English, 1965. 0.15 Herman A. Estrin, Engineering Alumni Advice to Freshmen on Studying English, College English, 1959. 0.15 James F. Fullington, Training for Teaching or Research, College English, 1949. 0.15 David Brown, A Word in Time of Hesitation, College English, 1941. 0.15 Harold C. Martin, The Aims of Harvard's General Education A, College Composition and Communication, 1958. 0.15 Sister M. Maura, Professor of Medieval Drama, College English, 1950. 0.15 Oscar Cargill Rachel Salisbury Alfred C. Ames J. W. Ashton, Varied Views of "The English Language Arts", College English, 1952. 0.15 Thomas Clark Pollock, English for Maturity, College English, 1949. 0.15 Donald M. Foerster, Expository Writing for Advanced Students, College English, 1951. 0.15 Louis R. Ward, On Standards, College English, 1954. 0.15 , Correction: Why Do Teachers Give the Grades They Do?, College Composition and Communication, 1979. 0.15 Warren French, With "Trees" Gone - Garden or Desert?, College English, 1962. 0.15 Louie Crew, To Don Slater, College English, 1975. 0.15 B. E. Boothe, English for Midwesterners, College English, 1941. 0.15 Warren Beck, Liberal Education and Democracy, College English, 1944. 0.15 Henry V. S. Ogden, Liberal Education and the War Crisis, College English, 1944. 0.15 Norman Nathan, Doctor's Orals, College English, 1948. 0.15 George F. Reynolds, Literature for Life, College English, 1946. 0.15 Howard H. Dean, The Communication Course: A Ten-Year Perspective, College Composition and Communication, 1959. 0.15 Charles E. Blackburn, The Program at Washington State College, College Composition and Communication, 1959. 0.15 Gordon Wilson, College Freshman Composition: How Can We Improve It?, College Composition and Communication, 1961.